Olea guineensis Hutch. & C.A.Sm. 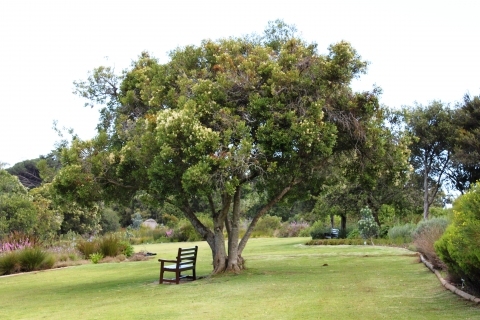 Cultivated tree with a wide crown being grown in S. Africa. The tree is often harvested from the wild for its high quality timber. It also provides an edible fruit and has some medicinal qualities. Tropical Africa - drier areas of Sierra Leone to Somalia, south through eastern Africa to S. Africa. Ssp. Macrocarpa. The fruits are oblong to elliptic, up to 2 x 1 cm; flowers in lax heads. Ssp. Capensis. The fruits are almost spherical to oblong elliptic, up to 1 cm long; flowers in dense heads and leaves very variable, apex often rounded; branchlets grey to greyish-brown.